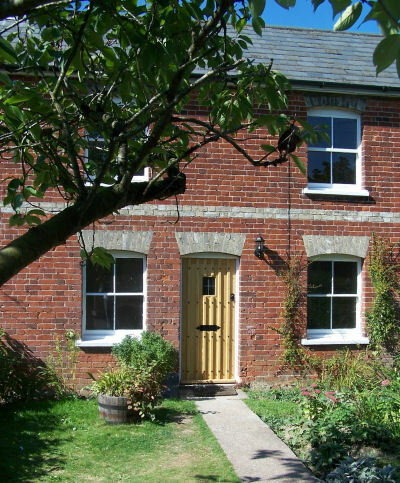 Cherry Tree Cottage is a luxurious two bedroom cottage in the centre of the Suffolk countryside. It is nestled between the picturesque villages of Polstead, Kersey and Boxford. From Bower House Tye there are many beautiful walks to be enjoyed as well as visits to the numerous historic towns and villages to be found nearby. 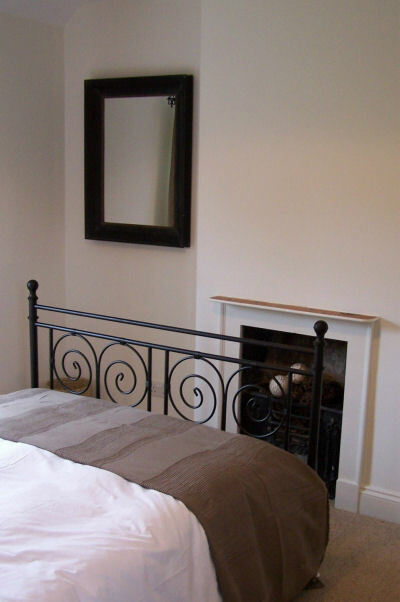 Cherry Tree Cottage is both romantic and charming with a real log fire and a quiet secluded garden. Completely refurbished for the 2006 season the cottage has the feel of a cosy farm cottage with all the convenience of modern amenities. The décor and furnishings have been sympathetically chosen to enhance the feeling of comfort and space within this Victorian building. Cherry Tree Cottage provides comfortable and stylish accommodation for up to four people plus a sofa bed for two. The ground floor has an open plan living area featuring a traditional wood burner and a separate country style kitchen which is fully equipped to the highest standard. There is a stylish shower room with lovely soft towels and a seriously large shower. The first floor has two pretty bedrooms, one with a Victorian style iron double bed and the other is twin/double bedded. All your home from home luxuries are provided – Egyptian bed linen and towels, flat-screen TV,DVD, Hi-fi, dishwasher and washing machine. A Selection of CD’s, DVD’s, magazines and local reference books are provided for the use of guests throughout their stay. Patio furniture and a barbeque are also provided so that you can make full use of the attractive garden. In addition we provide those little extra touches that make Cherry Tree holiday cottage a unique experience. We provide a complimentary welcome hamper which includes fresh bread, milk, fair-trade coffee and tea, sugar and breakfast ingredients of your choice (English or continental). We will also arrange for delivery of a daily newspaper of your choice. When you confirm your booking at this beautiful Suffolk holiday cottage we will send you details of local events and restaurants. We can even arrange bookings on your behalf. With central heating included in the price, why not enjoy a week-end break or a week away out of season, knowing that whatever the weather you will be cosy and warm in your wonderful Suffolk retreat? One well behaved dog is welcome to stay with it’s owners at Cherry Tree Cottage.